Shamanism is a transcendent practice of dynamic spiritual balance. The shaman is an animist priest/priestess that acts as an intermediary between the spiritual and physical realms. Shamanism is the oldest spiritual practice on Earth. Every culture and ethnicity in the world can trace their origins to some form of animism (shamanism). Shamanism has become increasingly popular in recent decades. But there is a great deal of controversy over the increasing trend of people of European descent practicing shamanism. Many Native spiritual practitioners have accused “white” people of stealing their cultural and spiritual practices. New age charlatans and “plastic shamans” have muddied the waters making it difficult to know what is an authentic shamanic practice for the sincere “white seeker. So, can “white people” become shamans? What if we don’t relate to Western materialism and organized religion? The European people practiced animism for over 50,000 years. If you are of European descent, then shamanism is in your blood, in your veins, in your DNA. 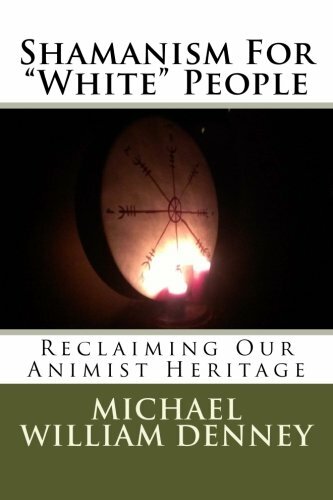 In “Shamanism for ‘White’ People,” author Michael William Denney explores the current controversies regarding neo-shamanism. In this book, you will learn about the ancient and profound animist (shamanic) practices of pre-Christian European tribes. Mr. Denney exposes the myths on both sides of this controversy. If you are a “white” person, animism (shamanism) is your spiritual birthright.